A loan of $1,875 helped to take part in paid pedagogical training courses abroad. The loan will help her to pay for the courses and also to cover her journey costs. 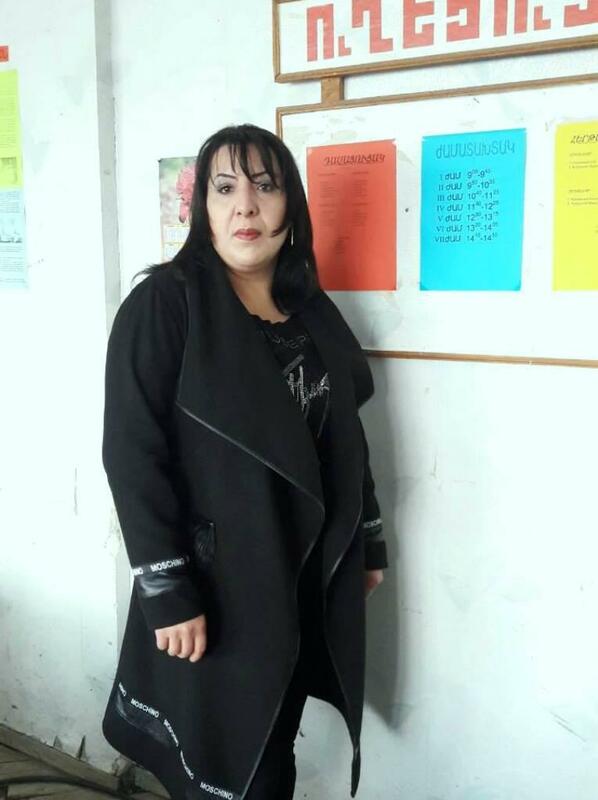 Gayane is happy and very thankful for her first Kiva loan and she is hopeful to be supported for the second time. She is 35 years old. She lives in Norashen village of Gegharkunik region. Gayane lives here with her nice family. Gayane is the only employed person in her family. She has already worked at the school for 16 years as a teacher of biology. She also still organizes paid private courses at her house and prepares many pupils for their entrance exams. She asks this time for a Kiva loan of 900,000 Armenian drams in order to take part in paid pedagogical training courses abroad. The loan will help her to pay for the courses and also to cover her journey costs. It gives students and teachers an opportunity to fulfill their dreams. This loan supports students and teachers as part of Nor Horizon’s education program. Funds can be used for partial or complete payment of expenses related to higher education for students or for teachers who need to invest in assets for their profession. By supporting this loan, you're enabling access to education for students with limited options and assisting teachers to better educate their students. “Nor Horizon” UCO LLC is committed to promoting poverty alleviation in Armenia by providing high-quality financial and other business development services to enterprising individuals in under-served rural and urban markets who have a strong will to establish and develop their own small-scale businesses. Originally created as the Armenian micro credit program of Oxfam (Great Britain) in late 1995, “Nor Horizon” LLC has been licensed under supervision of the Central Bank of Armenia since early 2006. For more information about “Nor Horizon,” please visit the partner page or website. To stay updated on loans from Armenia, please join the Armenia lending team at http://www.kiva.org/team/armenia. Kiva's funding is rewarding Nor Horizon's innovative loan products and services. Since 2012, it has partnered with Habitat for Humanity Armenia to provide women-headed households with loans for repairing and improving housing, both apartment units and separate homes. Nor Horizon also partners with International Fund for Agricultural Development to provide agricultural loans with a low interest rate and up to a 7-year term.